Kathryn Carlino, RN, Director of Wellness - Youville PlaceLast month, Kathryn Carlino became the new Director of Wellness at Youville Place. In her short time here she been busy getting to know residents, families and colleagues at Youville. Now is our chance to get to know more about her! Originally from Dedham, Massachusetts, Carlino earned her Nursing degree from Brigham and Women’s Faulkner Hospital in Boston. She also holds a bachelor’s degree in Human Services from St. Joseph’s College of Maine. Carlino joined the Covenant Health family in 2013, with St. Joseph Home Health Care in Nashua, New Hampshire. When that agency closed last June, she was alerted to the Director of Wellness position at Youville Place and drawn to the possibility of continuing to serve as part of a Covenant Health organization. Carlino brings a wide range of interests to her work with older adults. In addition to the personal human connections she values, she is passionate about incorporating fitness and exercise into an overall wellness strategy. Carlino’s professional interest in physical fitness spills over into her personal hobbies, which include hiking, cycling and kickboxing. She used to be a kickboxing instructor with her own home studio, and has even incorporated kickboxing elements into workouts she has led with older adults. Originally a guitarist, he could not resist bringing out the guitar for a Beatles song – “Here Comes The Sun” – to celebrate the arrival of spring. 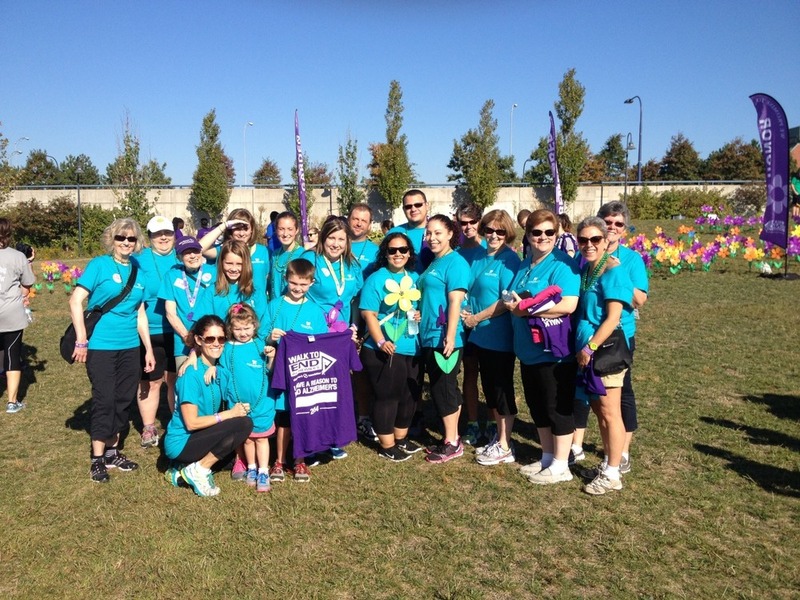 On Sunday September 28, Youville participated in The Walk to End Alzheimer’s. As in years past, there was a strong turnout from all over the Greater Boston area, with over 7,000 walkers showing their support. This year marked Team Youville’s debut appearance at The Walk. Members of Team Youville included staff, family and friends representing Youville House, Youville Place, and The Courtyard at Youville Place. In total, the team was 20 members strong and has managed to raise a substantial $4,883 for the Alzheimer’s Association. The Walk took place at Paul Revere Park, along a scenic route along the Charles. The weather was perfect and morale was high. Boston Mayor Marty Walsh, the honorary chair of the event, delivered opening remarks. Mayor Walsh has been outspoken about his commitment to making Boston an Alzheimer’s-friendly city. In a Boston Globe article published earlier this summer, he described his grandmother’s long struggle with the disease and the effects it had on his family. Nearly everyone participating in The Walk had personal connections with those whose lives have been affected by Alzheimer’s. A number of the participants actually had been diagnosed with Alzheimer’s. Team Youville walked along the Charles River in Charlestown for a total of 3.5 miles. Among the many successful fundraisers on Team Youville, it is clear that the team member who raised the most money was Youville resident Anna Pier. As in years past, Anna posted a notice for Youville residents and wore her “Walk to End Alzheimer’s” shirt (she is a veteran participant) to raise money. Team Youville thanks all who participated and donated in this year’s Walk.